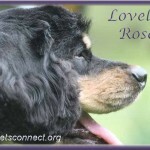 Lovely Rose is a black and tan American Cocker Spaniel. She is five years old and weighs 18 pounds. Her back-ground story: we don’t really know much as she landed in a local animal shelter as a stray. She had no tags, had not been micro chipped and no one showed up to claim her so she became available to go to a rescue, or adoption or be euthanized. We were glad to take her. 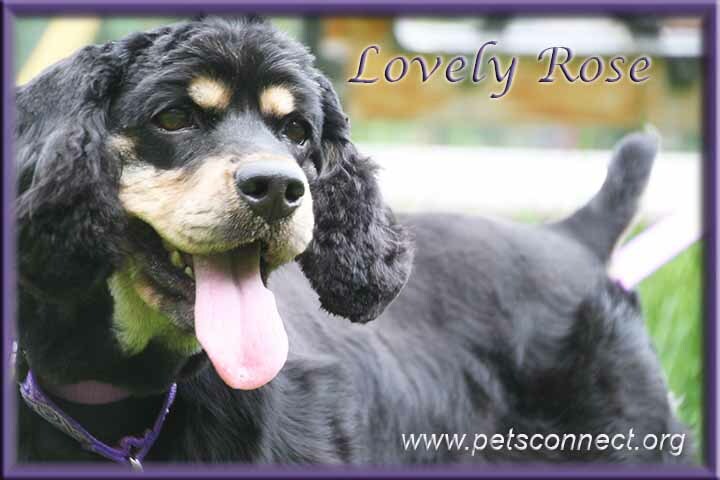 Given her condition, someone had taken fairly good care of her because her coat was in good condition. She did come with an ear infection but this can be common in floppy eared dogs like her. An ear wash, some anti-biotics and a deep ear cleaning while she was under for her spay and her ear is looking good as new! She has been a trooper about getting her ears cleaned. She puts her front paws on my lap and just lets me squirt the wash in, clean it up with a paper towel and if needed put some ointment in it. She was groomed at The Groomer in Edwardsburg, MI. 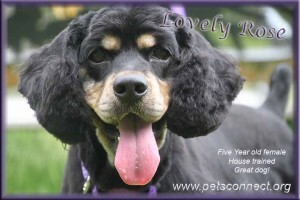 The groomer had only good things to say about this lovely dog. 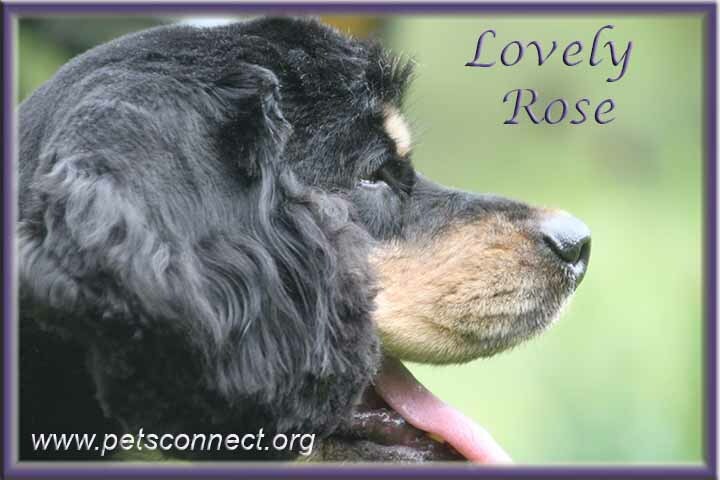 Rose is close to the perfect dog, if not the perfect dog. She is good with dogs and cats and people. She is house trained and crate trained but in her foster home she has free run. She is really good about staying on the floor by our bed all night vs trying to get up into the bed. Not that she does not want to be up on the bed and we let her lay with us until lights out, then it’s onto the floor. She is great about coming when called and knows some basic commands such as sit. When we go outside I just let her come out with out a leash because she stays right with me. She has a sweet nature and enjoys attention. Just a great little dog.